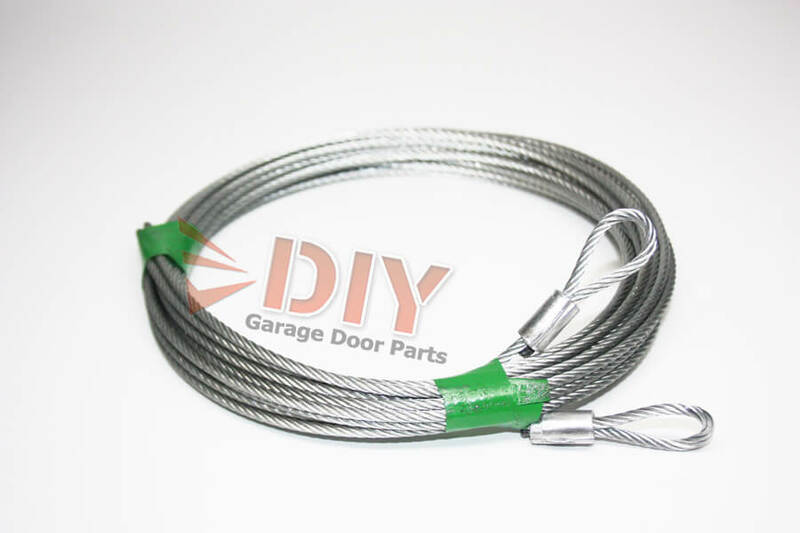 View cart “1/8″ 7 x 19 Torsion Cable Assembly fits 8 ft high garage doors” has been added to your cart. 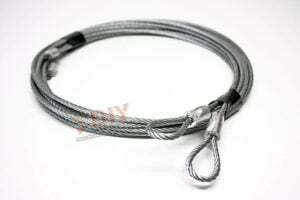 7FT Door Extension Springs Cables 7×19 strand 1/8″ – a great upgrade in comparison to the standard extension spring cables, they are made up of thinner strands of cable but many more. 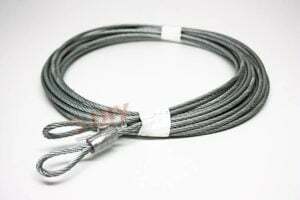 For example the 7×19 strand cable is 19 thinner strands per bundle then 7 bundles are twisted together to make the 1/8″ cable. The 7×19 strand cable is much stronger with a capacity of 1950 lbs and much more flexible than the standard 3/32″ extension cables. Along with being stronger and more flexible the 7×19 strand cables are much easier to work with when adjusting spring tension on an extension spring door. I looked all over for this exact set of cables and found just what I needed on DIY. The product descriptions and specs are very helpful, the prices are good, and shipping was fast. I’d buy from DIY again. Kyle was very helpful working with me. He did a great job making sure I got the right parts to complete the job. He always return my phone calls and answer my questions. 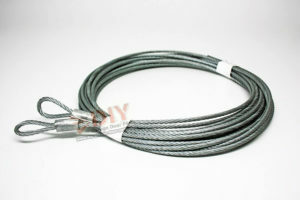 Superb quality cable only topped by the superb service! My items were shipped VERY quickly and at very reasonable price! I must add, be aware that the price is for a PAIR of the cables. It is not listed clearly and I ended up getting 2 complete sets instead of one. I won’t complain, cause this makes the cables even a better value! Heavier cable than I had, should last longer. Easy to install, relatively fast shipping, very good prices. When I need other parts for garage door repairs, I will buy from this supplier again. Very helpful staff to make sure you’re getting the correct parts.